Well respected farmers and horse trainers of Cargo - Alexander and Lee Van Den Bos, have had more than their fair share of a rough trot lately. Living through the drought and having to destock to less than a third of what they would normally have is just part of it. Throwing more heartache into the mix, Lee battled a brain tumour and after having it taken out was given the devastating news nobody ever wants to hear, a timeframe. 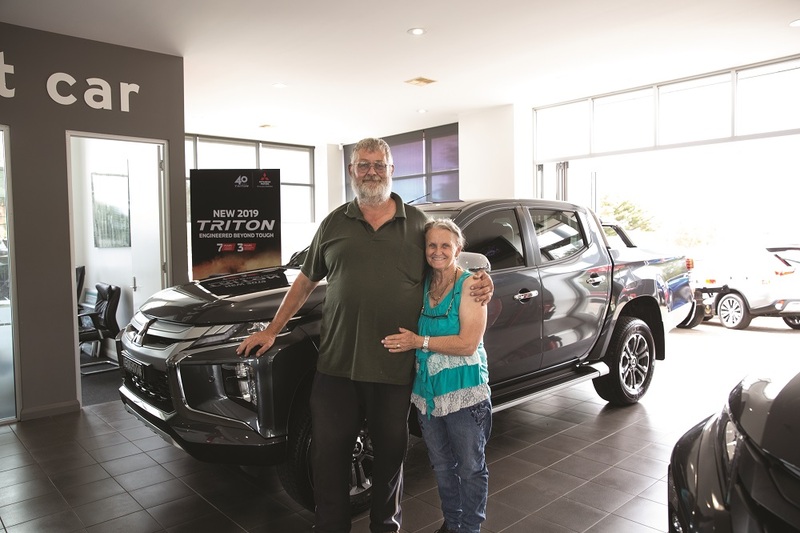 Rewind to a few months back, a Triple M ad came over the radio giving listeners a chance to go into the draw to win a brand new 2019 Mitsubishi GLS Triton Dual Cab.